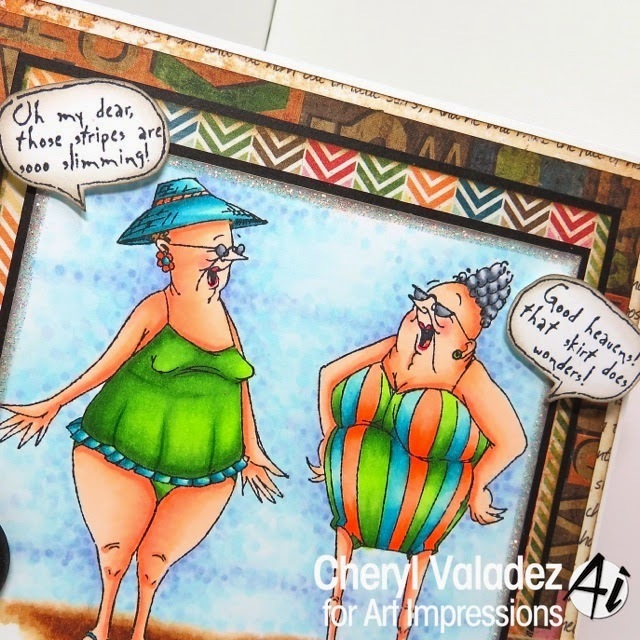 The Ink Trap: Selma and Gladys from Art Impressions! Hey all! I'm back today with a new card for Art Impressions. This one features a couple of gal pals...Selma and Gladys! These two ladies know just the right things to say ;) You gotta love that! You can find this image in the Art Impressions Shop along with SOOOO many other fabulous images! Check it out! Also, be sure to drop the Art Impressions Blog every day, because there is a constant stream of inspiration being posted by the design team. Awesome stuff! I gotta scoot! Until next time, stay crafty! OMGosh this is so great!